Stevia is a perennial herb and all of the plant parts has strong sweet taste. Extracts of Stevia is low in calories and used as an excellent healthy substitute for sugar and artificial sweeteners. The crude extracts are typically purified by filtration, resin adsorption, de-coloration followed by multiple recrystallization. 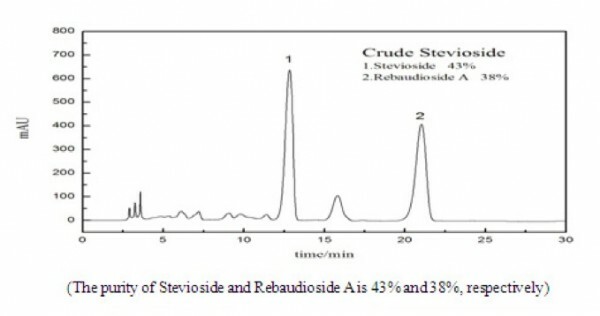 The resulting extracts are usually a mixture of Rebaudioside A (RA), Rebaudioside C (RC), Stevioside (STV), Dulcoside A (DA), and Steviobioside (STVB). It has been a challenge for the food industry to isolate single components from the extracts with purity higher than 95%. 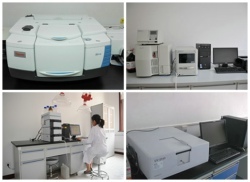 EPRUI stevia extraction chromatography media is designed for easy isolation and purification of Stevioside. 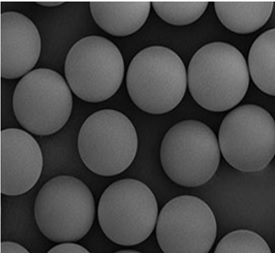 The polymer microspheres have uniform particle size, optimized pore structure, functional groups and composition which make sure a very effective resolution of the mixture containing Stevioside with high purity and yield in large-scale chromatography process. The major components of Stevia extracts are Rebaudioside A (RA), Rebaudioside C (RC), and Stevioside (STV).Each of these components can be perfectly isolated by using EPRUI-PMMA50-Carb with high purity and excellent yield.